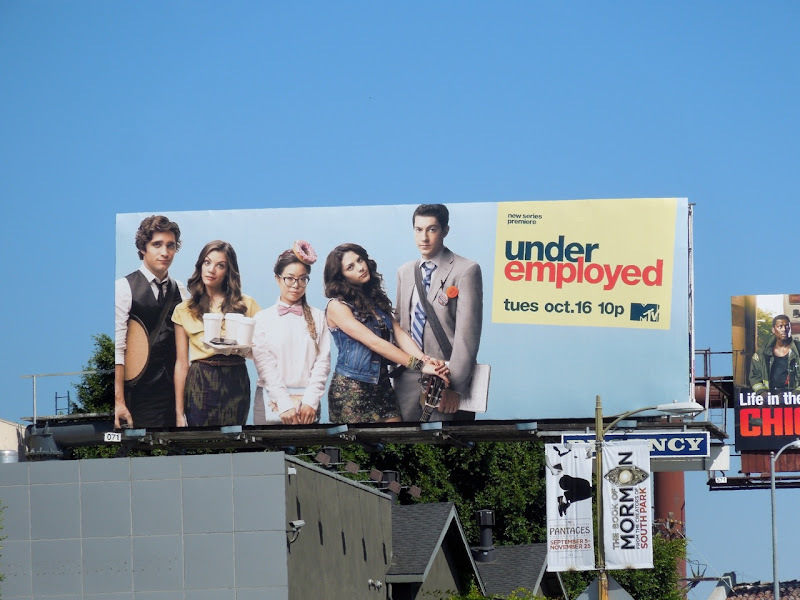 Not everyone lands their dream job when they first leave college, especially in this economy, and it's not just navigating the dead-end jobs that are hard work, but it's braving new experiences, friendships and relationships that make life even more difficult (or fun depending on your outlook on life). 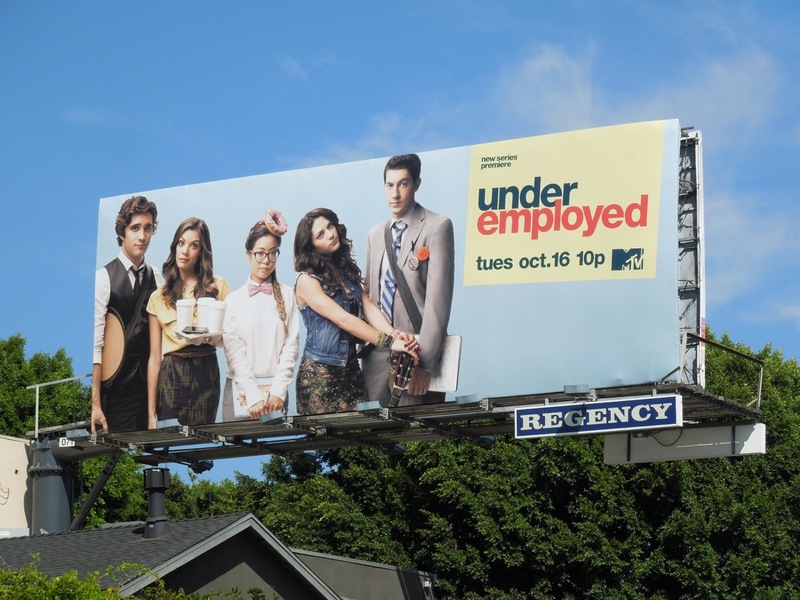 Enter MTV's new post-grad TV series, Underemployed, which follows the fortunes of a group of five friends living in Chicago as they find their feet after college, whether that be unpaid internships, horrible bosses or working in a doughnut shop. 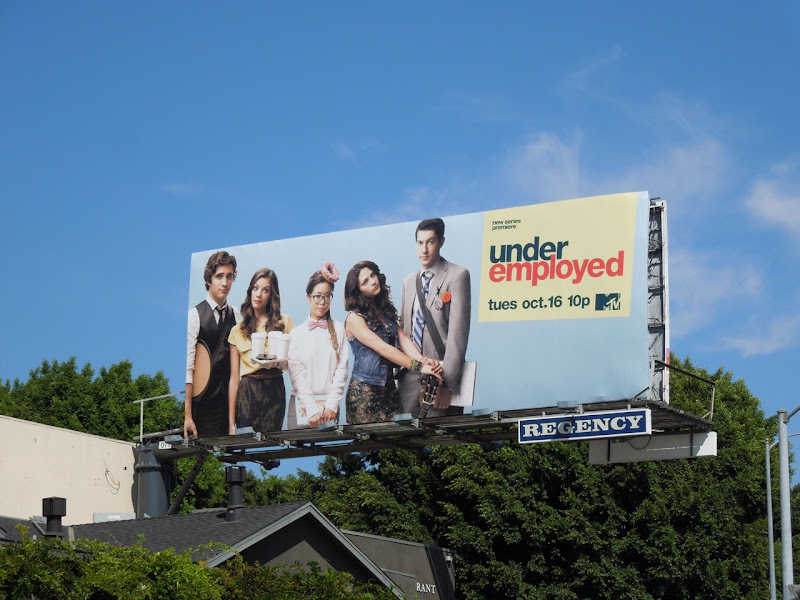 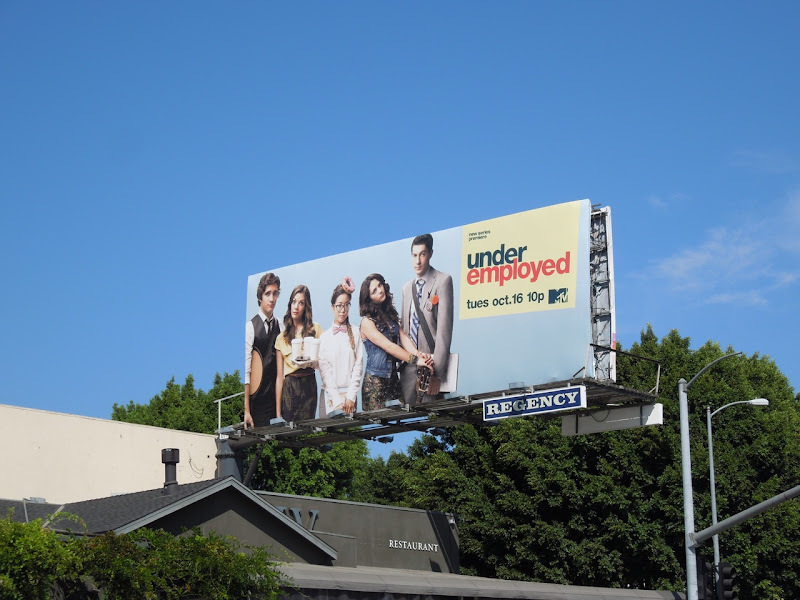 Most passersby should be able to relate to this billboard snapped along Sunset Boulevard on September 27, 2012, as L.A. is full of people waiting tables and doing what they can to get by, whilst they wait for their big break and for their dreams to come true.